Our modern lifestyle is not a friend to our livers. Anytime we are exposed to environmental pollutants and stress, or when we overeat or eat processed foods, we tax our livers. When this happens, our livers can’t function properly and aren’t able to efficiently process toxins, fat and waste. Luckily, nature has a perfect remedy to help offset some of the damage we do to this organ - erva tostão root. Sometimes considered an invasive weed, erva tostão produces tiny flowers and can be found in tropical and warm-climate countries. It is a vigorous, low-growing spreading-vine that is indigenous to both Brazil and India, where it is found in abundance in the warmer parts of the country. The roots of erva tostão have held an important place in herbal medicine in both Brazil and India for many years. In India, Erva tostão is called punarnava, where it has a long history of use by indigenous and tribal people and in Ayurvedic herbal medicine systems. 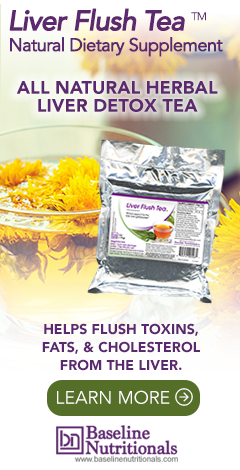 There, the roots are employed as a diuretic, stomachic, laxative, and emmenagogue to increase menstrual flow. It is also used to address gonorrhea, internal inflammation of all kinds, dropsy, jaundice, menstrual problems, anemia, and liver, gallbladder, and kidney disorders. It is employed in Brazilian herbal medicine both as a cholagogue to promote the flow of bile and as a diuretic. It is used for all types of liver disorders (including: jaundice, hepatitis, cirrhosis, anemia, flukes, detoxification, and chemical injury), gallbladder aches and stones, urinary tract disorders, cystitis, and kidney disorders including stones, and nephritis. In fact, G. L. Cruz, one of Brazil's leading medical herbalists, reports that erva tostão is, "a plant medicine of great importance, extraordinarily beneficial in the treatment of liver disorders." This is one of the reasons you’ll find it in Jon Barron’s Liver Flush Tea. While herbalists have been using this root as a natural remedy for years, more recent studies have validated many of its medicinal uses. For instance, researchers demonstrated in 1980 and again in 1991 that a root extract provided antihepatotoxic properties in animals; that is to say, it protects the liver from numerous introduced toxins. And more recent studies have shown that it may even be effective in inhibiting the growth of cancer cells. It has also been used to tone, balance, and strengthen the adrenal glands as well as for adrenal exhaustion and excess cortisol production. In addition to helping with detoxing, this root has also been used to help with all manner of eye disorders including night blindness, glaucoma, gradually reducing vision, and persistent irritation in the eyes. It is also used as a laxative, a skin treatment for both beauty applications and skin-related issues, and for helping with edema since the root also acts as a diuretic. Traditionally, you can take erva tostão as a tonic, tincture, or tea. You can also find it in capsule, powder and tablet form. Learn more about how Jon Barron uses this ingredient for its liver detox benefits. Where can we find this root? Is it expensive?